If your camera has a problem the Camera Centre can help. 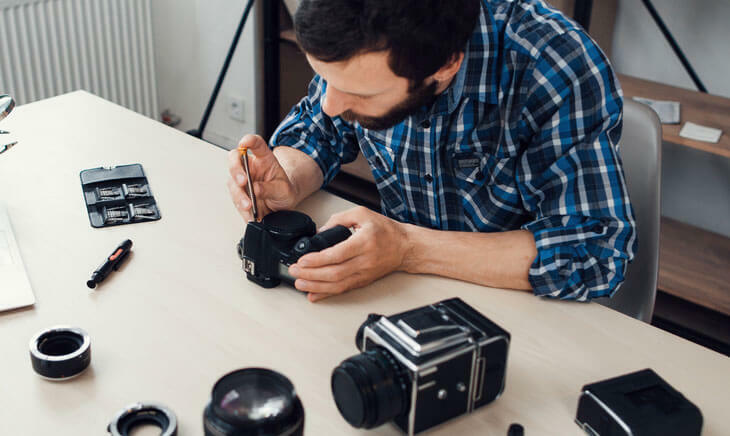 Our agents will repair all digital, digital slr, film and video cameras. At Camera Centre we advise that your camera is serviced regularly – around once a year depending on how much you use the equipment. We also service camera lenses too. Any work carried out usually comes with a 3 or 6 month warranty which gives you piece of mind going forward. This can also add value to equipment that you are thinking of selling. If your camera has a problem The Photo Center can help. We repair all digital, digital slr, film and video cameras as well as Kodak slide projectors.